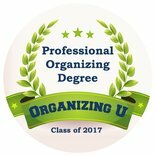 NOTE: I am running a promotion of 4 hours for $100 in exchange for taking and using before and after pictures! Before purging this closet at a client's house! After purging, this client really got into it and sent off over 140 items to the donation center today! 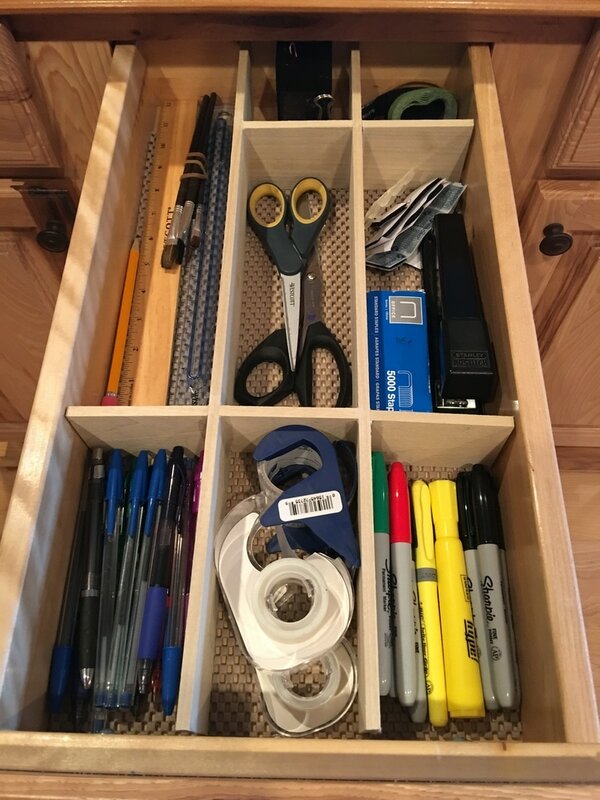 Before - Utensil drawers are hard to keep organized. After - Made the custom divider to help corral the utensils. 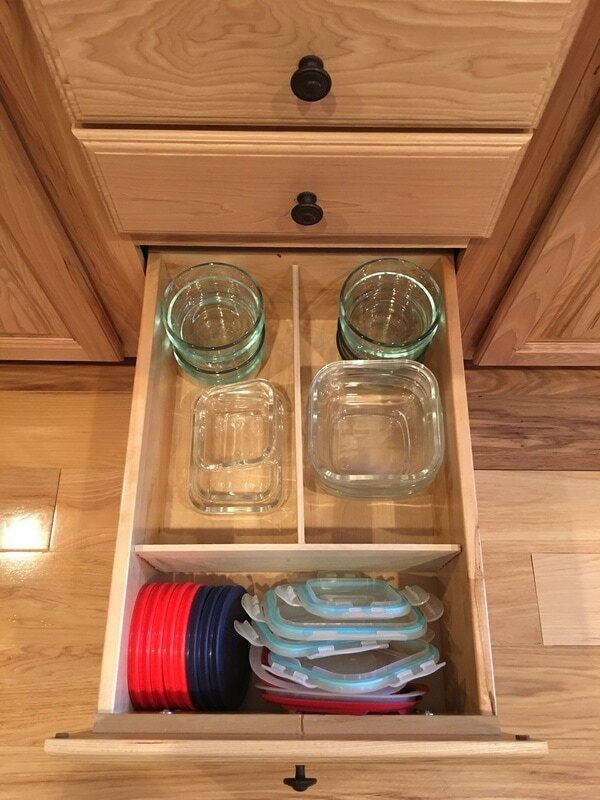 It's removable so can easily clean or line the drawer. 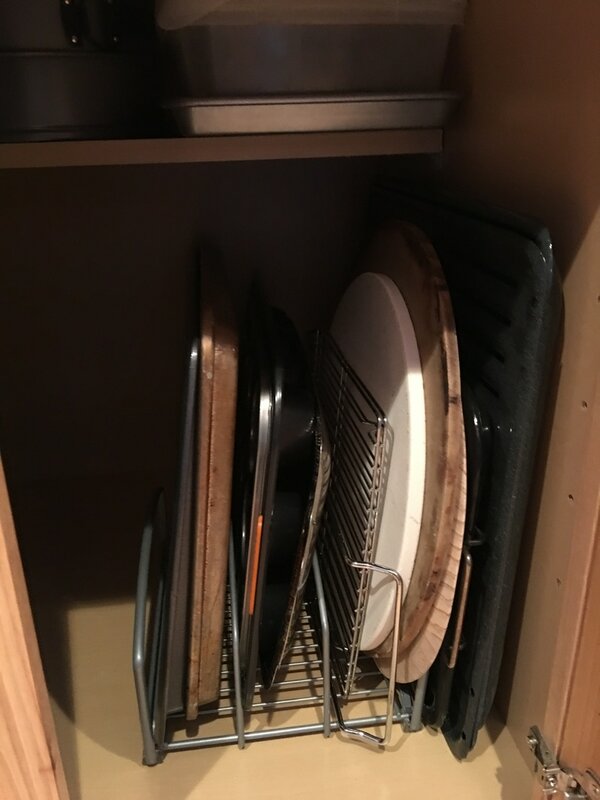 After - I'm a big fan of pretty holders for the utensils we use all the time. After - Another custom divider to keep the knives separated. Before - Hard to find what's needed when it's needed. 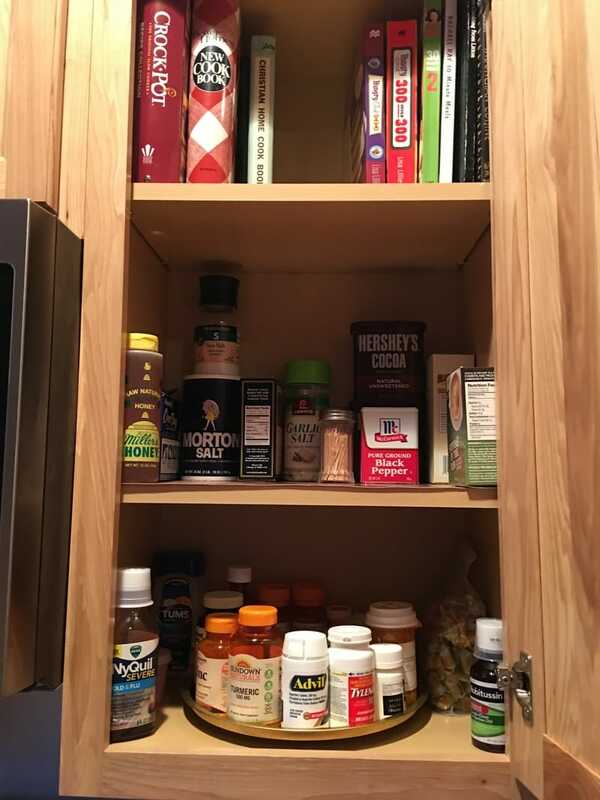 After - Another use of a custom divider to keep lids separate from containers. 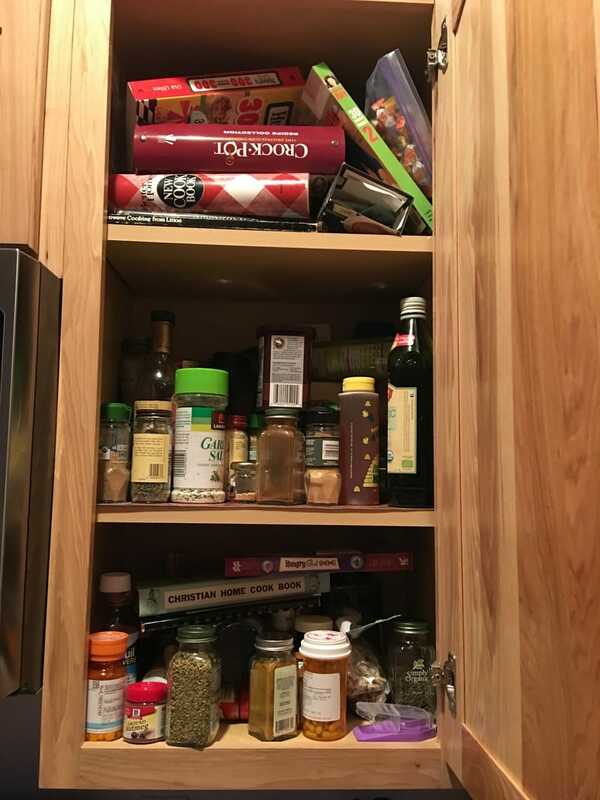 After - With the help of a small lazy susan, everything is now easily visible. After - Now can easily get hands on scissors or pens when they are needed (with another customer divider). 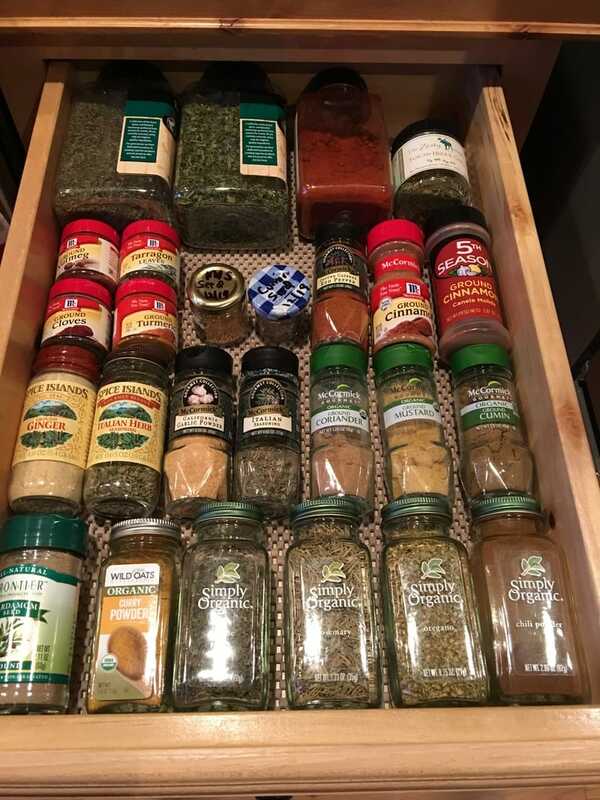 After - Spices in a drawer make it easy to find and retrieve them! After - Much easier to grab the needed pan vertically then digging through a pile. 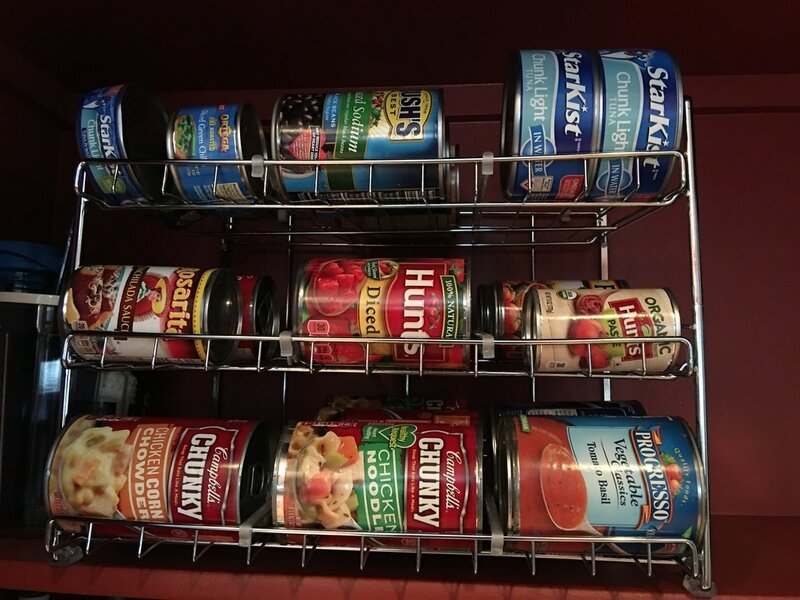 After - didn't think I would like this, but is an easy efficient way to keep canned goods organized. 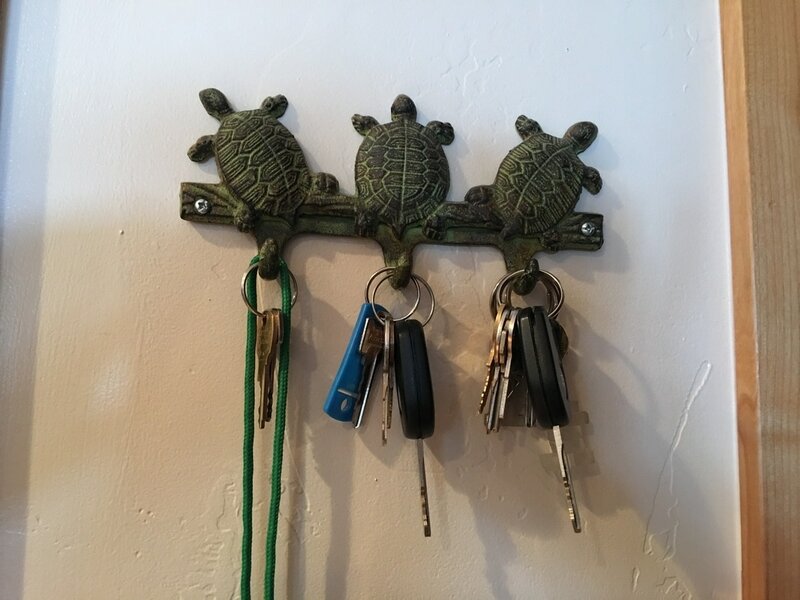 After - will never loose your keys if you always put them on a cute key hanger by the door.